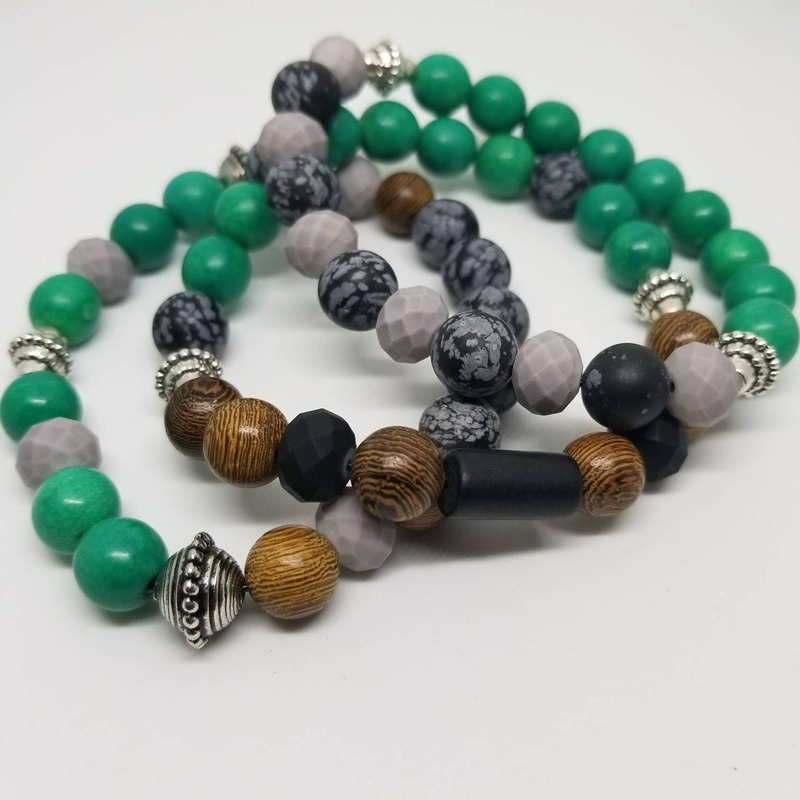 Mixed media bracelet featuring wood, onyx, Jasper, jade and silver plated beads. Bracelet are approximately 7inches in diameter. Set includes all 3 bracelets.